Imagine Instruments LLC provides state-of-the-art energy efficient products for Industrial, Scientific and Automation applications. Products include Monitoring & Control Instrumentation, Sensors, Alarm Panels, Wireless Remote Controls and Off-grid Solar Power Systems that provide power for Sensors, Controls, Instrumentation, SCADA Systems, Pumps, Wireless Controls and Telemetry Equipment. 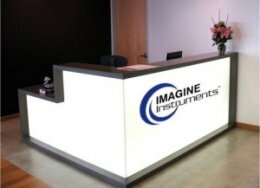 In addition to our core staff, Imagine Instruments maintains a large network of strategic partners and vendors. and our... "Failure is not an option" approach to our work. Our mission is to provide a complete menu of products and value-added technical services from which our customers can choose, giving them a competitive advantage in time to market, technology, reduced staff requirements and lower operating cost.